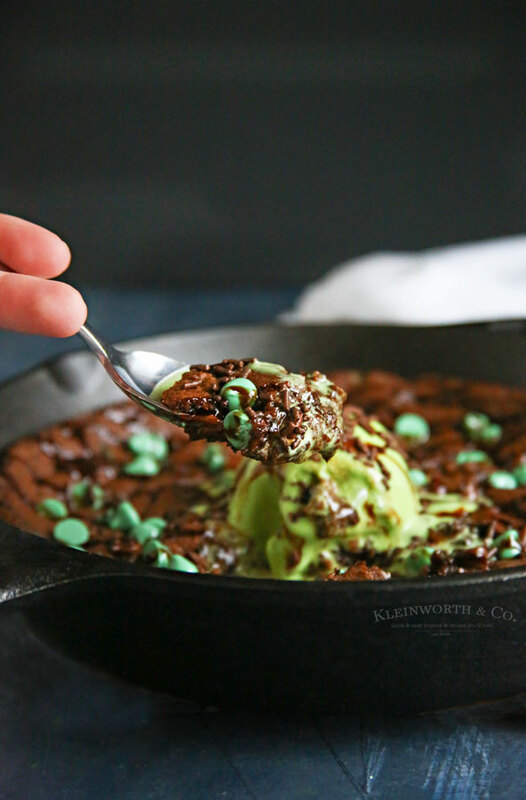 Mint Chocolate Chip Skillet Cookie is the most delicious pizookie-style dessert loaded with mint & chocolate flavor. 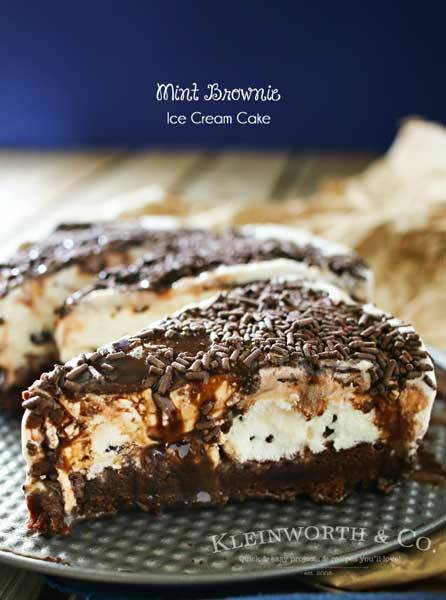 Gather your friends, grab a spoon & be prepared for the best dessert ever! 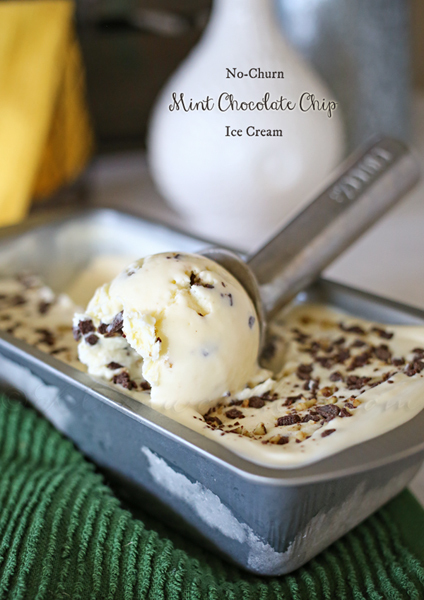 Do you love the delicious combo of mint & chocolate together? We sure do! 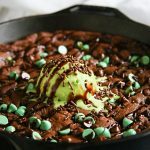 So when it comes to recipes like this Mint Chocolate Chip Skillet Cookie that is packed full of those favorite flavors, we tend to make it again & again. My youngest daughter, Anya, is back today to share this awesome creation she made. Please give her a nice warm welcome. Hi there! Everyone in our house was craving a hot, chocolaty, gooey evening dish. 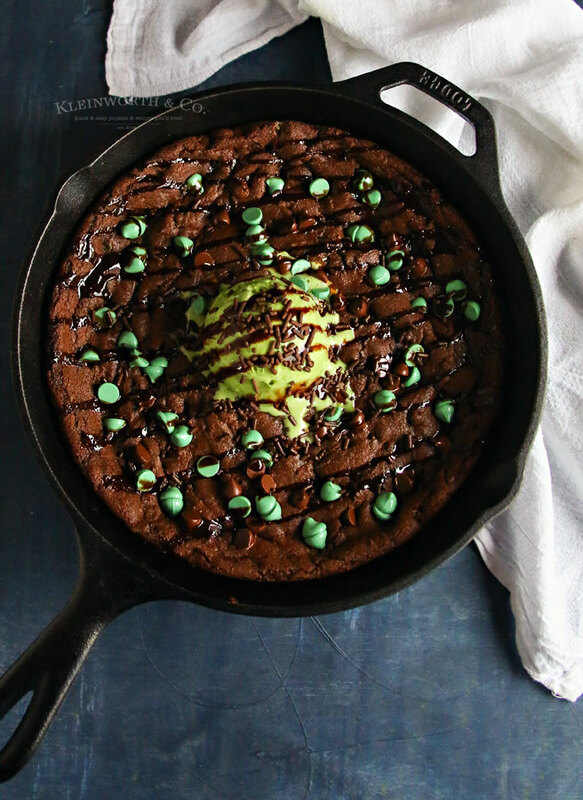 We decided to make a skillet cookie. Those are always so delicous, easy to make & always satisfy all the cravings. Originally we were going to make a traditional chocolate chip cookie. But when I was looking for the chocolate chips I noticed that we had mint chocolate chips on hand. 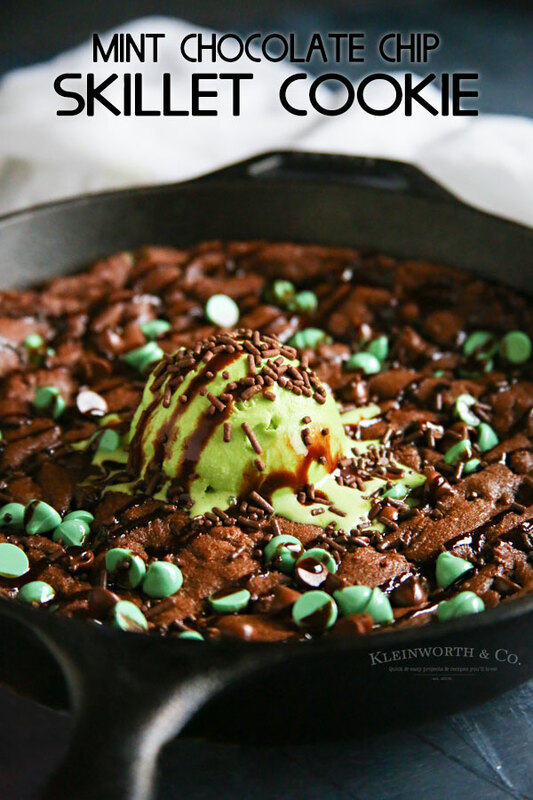 So we changed our plans & went all out with this mint chocolate chip skillet cookie that is OVER THE TOP AMAZING! 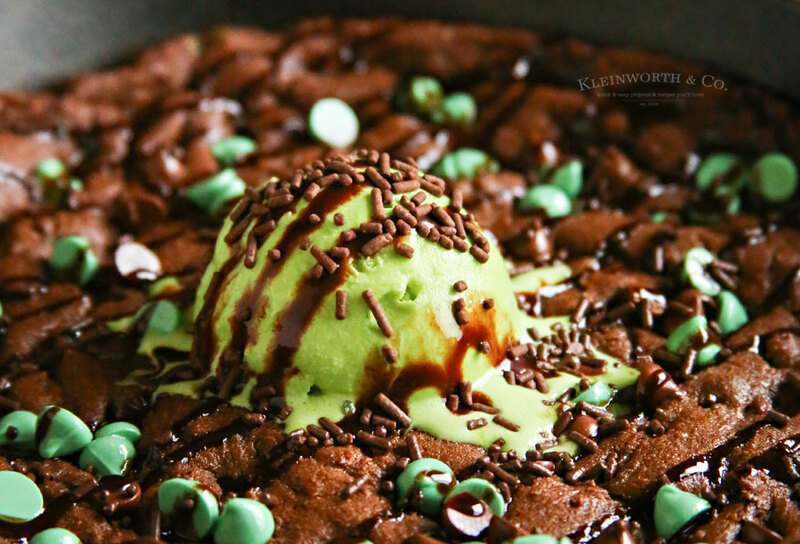 It is truly everything you want when pairing chocolate & mint. 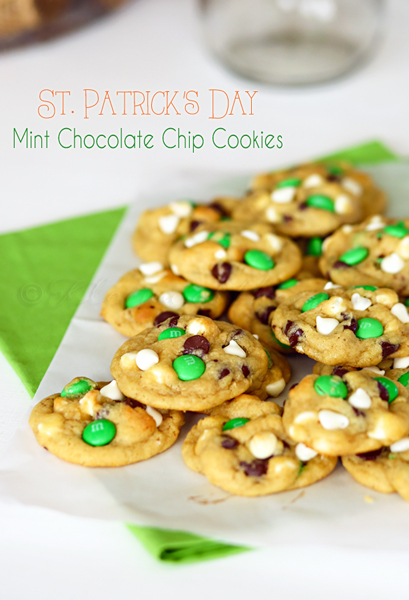 Oh & it is perfect for celebrating St. Patrick’s Day too. 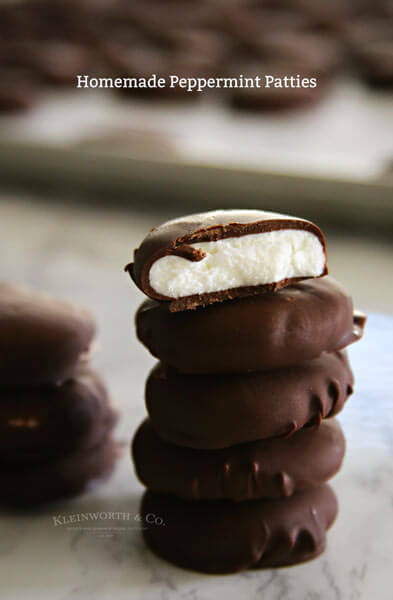 Looking for more great mint & chocolate recipes? 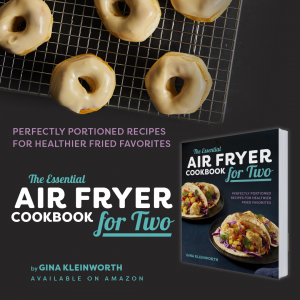 In a large bowl beat butter & brown sugar until combined. Add egg & vanilla & mix until just combined. Slowly add flour, cocoa, baking soda, & salt - mix. Scoop batter into a greased or well-seasoned 10-inch ovenproof skillet (cast iron). Smooth the top by pressing the dough with wet fingers. Bake until just set in center and pulling away from sides, approx 20 to 22 minutes (it's okay if the center looks slightly underbaked). 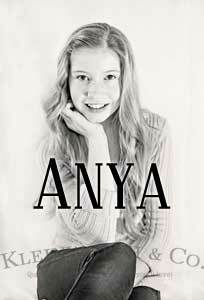 Thank you Anya!! We love it! 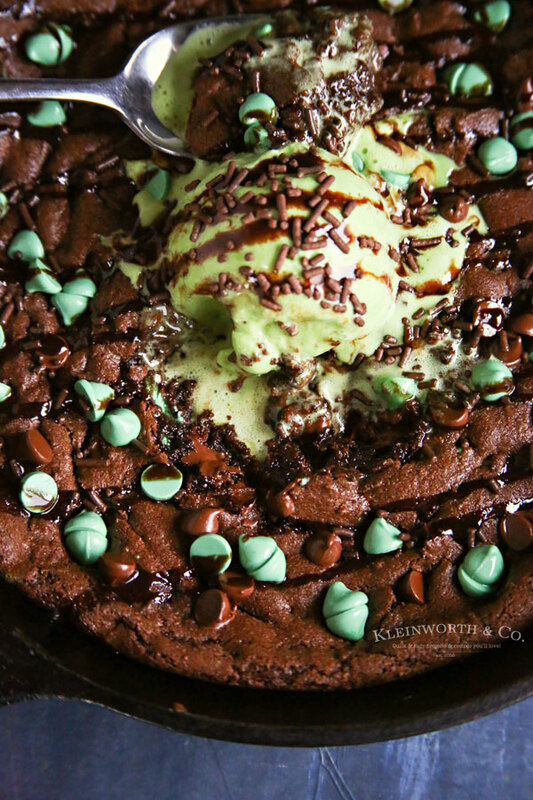 The mint chips stand out agains the chocolate…yummy! Mmmmm. Do I have to share this with anyone else? Thanks so much for sharing at the #happynowlinkup!